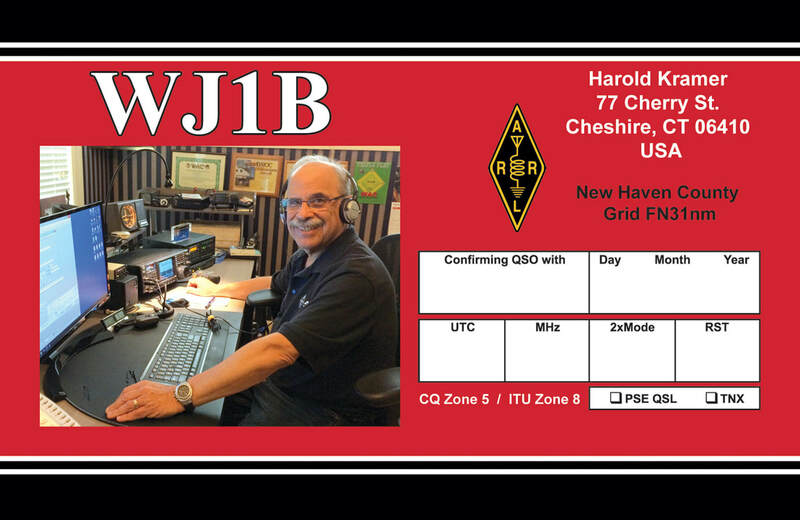 Hi, I'm Harold Kramer, Amateur R​adio Station WJ1B. I have been an Amateur Radio operator (ham) since 1962. My Novice call sign back then was KN1ZCK and I also held the call WA1JLY. Here are some of my other calls: WJ1B/KP2, J6/WJ1B, TI7/WJ1B, and W1Q. For HF, 6, and 2 Meters, I use Icom7300 and Icom7100 transceivers with a Hex Beam for 20 meters and up and an Alpha Delta DD antenna for 40M and 80M. I also occasionally use an Elecraft KPA500 amplifier. Here's some additional information about my station. ​ I hold an Amateur Radio Extra Class License and an FCC GROL Commercial License. I am currently an ARRL Volunteer Examiner and an ARRL Life Member. I was an Emergency Coordinator (EC) in South Central Connecticut. I usually operate CW and FT8, on the 80, 40, 30, 20, 15, 17, 12, 10 and 6 meter bands. I also collect telegraph keys and telegraphic apparatus. I am the retired Chief Operating Officer of the ARRL. The ARRL is the national association for Amateur Radio located in Newington, Connecticut. Prior to joining the ARRL in 2005, I worked in the cable television and broadcast industries. I am happy to QSL directly at the address on the card below, via the Bureau or Logbook of the World. Return postage or SASEs are appreciated, but not required.